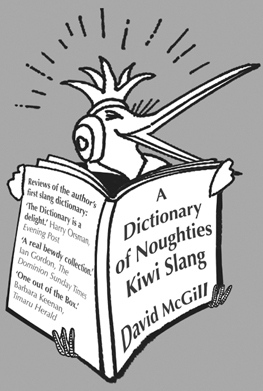 A Dictionary of Kiwi Slang for the New Millennium — some old, some new, some borrowed, often blue. 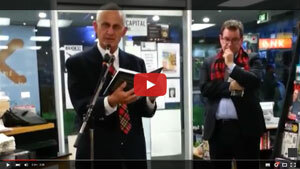 This collection presents the active slang, catchphrases and colloquialisms in Kiwi use in the first decade of the new century and is the book of my new slang site www.kiwislang.org.nz launched on Beattie’s Book Blog 1 August 2011. Faster than a speeding bullet, slang arrives, like bikoi and boy racer, codgerati and skywaka, honkyori and Hobbitocracy, Remuera Attack Vehicle and Tupperwaka, manus and munted, the last new to Mayor Bob Parker in the Christchurch February earthquake, next month he is briefing Prince William on this local slang. Fleeting vogue words help define the decade, notably Tigertigerumu, Helengrad, Corngate and Paintergate. Hanging in are golden oldies like a box of fluffy ducks, bandicooting, up the boohai and underground mutton. Then there are the goneburgers like komaty, Py korry, Porirua briefcase and Wanganella weather. This is the first Internet-driven, Google-tested collection of Kiwi slang, 3000 entries and explanations of slang that is distinctively Kiwi or particularly popular with New Zealanders.